We loved Wheel on the School. We've read probably most of de Jong's books, at least the ones still in print & haven't found a dud yet. We are loving him too. Along Came a Dog was another favorite (my two littler ones 'played' at that one for awhile!). I missed out on him as a child, but am finding his stories delightful as an adult. Yes, there must be *something* in the air. 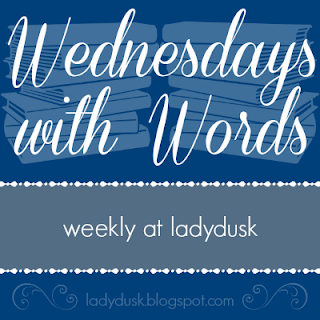 This week's Wednesdays With Words is just perfectly full of wonder.